It’s quite simple. Build the rocket. KISS!!! Keep It Simple Sir! 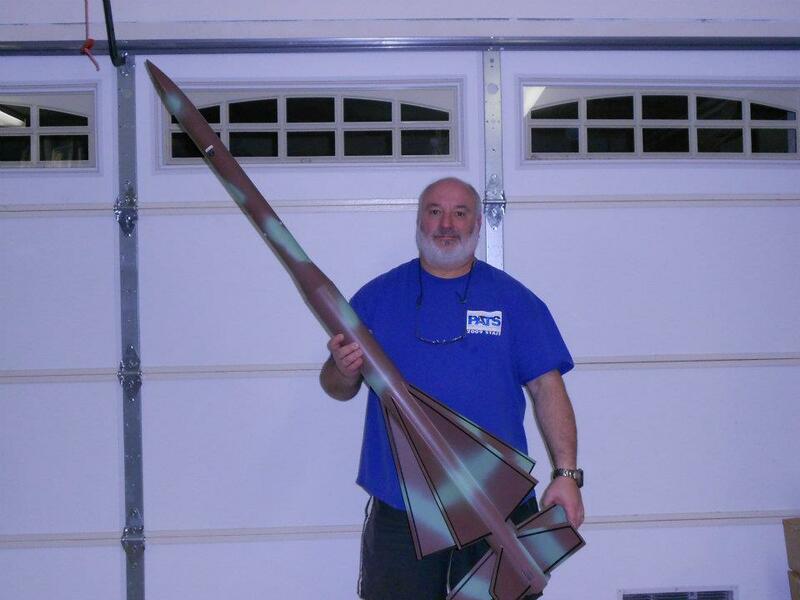 A 2.5 inch or 3 inch rocket about 3 feet or so long is perfect. Don’t try and boil the ocean with gadgets! The idea is to show you can build and recover a H impulse powered rocket. Not how complex you can make a rocket. Get fancy AFTER you get the certification. Anything more and you are simply increasing ‘what can go wrong’. Bring the rocket and about $35 to a launch. Give most of those bucks to one of our vendors, who will give you a H reload for an Cesaroni or Aerotech casing. Show him the rocket, he’ll know the right delay. Most likely you can borrow the casing from a member (remember you are responsible for it though). If an Aerotech reload, give him another $1.50 and he’ll give you an ignitor that has a chance of igniting it on the first try. Now build the motor, install the chute with proper protection, and install the motor minus the ignitor. Fill out your paper work and give it to a NAR or TRA level 2 person, it just depends on if you are doing a NAR or Tripoli cert. Please do not ask which one is better. I like the both. I joined both. I support both. I cert’d NAR (flipped a coin). Put the paper work somewhere where you’ll find it after the flight. Head to the registration table and make sure you are registered. If not a ROC member you’ll owe a daily launch fee. Don’t forget your NAR or Tripoli card. Now take the rocket, ignitor, and masking tape to the RSO table and fill out the proper flight card and make sure you mark it’s a Level 1 flight and write it across the top as well. When at the pad, put a slight kink in the ignitor about an inch from the head and insert it all the way up into the H. Secure it with some masking tape and poke a little tear in the tape by the nozzle with a pen or fingernail. (Note: If using a Cesaroni motor, just follow the instructions for the supplied ignitor.) Put the rocket on the pad, hook it up, and wait for the LCO to punch the button. Make sure you hear him or her say it’s a L1 flight and that someone from TRA or NAR should be watching. Watch with pride your successful cert flight. Get a picture or two. Bring the playa-scraped rocket with Genuine Playa Dirt(tm) (usually found on fins), and your paperwork back to be signed. Kick back and enjoy a refreshing adult beverage. Cheers! !